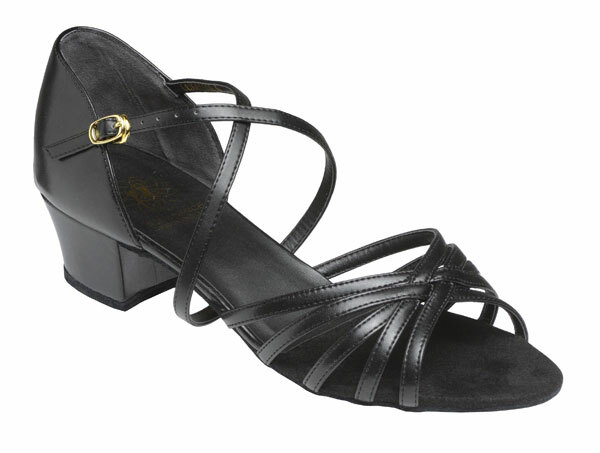 Practice sandal with five strap vamp and two way fastening strap. Regular fitting. UK sizes 2 - 8 inc. half sizes. 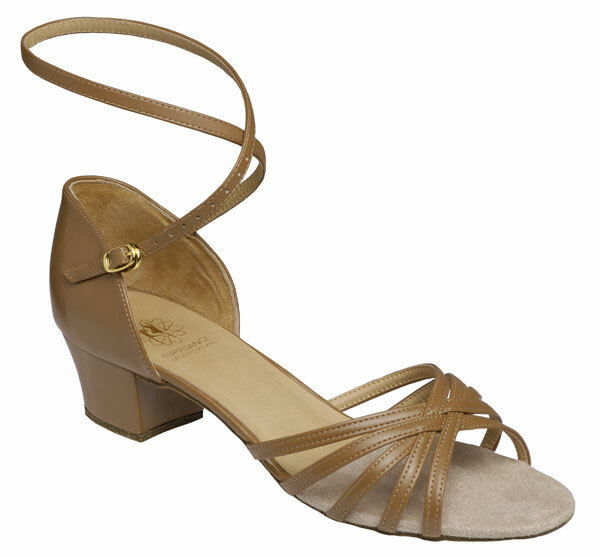 1½" Heel. Wide and Extra Wide fittings can be made to order and take 4 weeks to manufacture.